While we love flaunting our favorite denim jackets and lightweight toppers, it’s important to make sure you have heavier pieces to keep you cozy when the temperatures drop. If you’re looking to expand your outerwear collection with a new style, then you’re in luck. 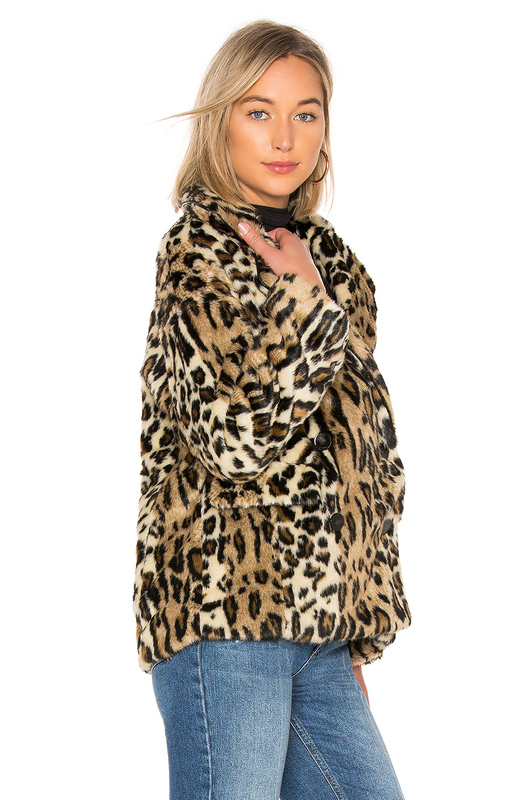 We just spotted a leopard coat that will shake up your cold weather wardrobe. The Free People Kate Faux Fur Leopard Coat is a wildly gorgeous find. Designed with soft and warm faux fur, this coat will keep you stylishly snug. Great for layering, this topper will look amazing with a sleek turtleneck or dressy knit. Complete with front flap pockets, you can house your small essentials easily. This design also features a front button closure and button cuffs for a smart tailored finish. Available in a gorgeous brown hue, this chic piece of outerwear will give your ensembles a sophisticated finish. Hitting the racks under $270, this coat is a great way to invest in faux fur without the hefty price tag. Perfect for topping off your night on the town look or styling with your casual ensembles, this garment will become a shining star in your outerwear vault. With sizes ranging from XS to M currently available, now is the ideal time to shop the coat before it sells out. See It: Grab the Free People Kate Faux Fur Leopard Coat at Revolve for only $268.